Big Pink Link 68 Big thanks going out to Lucy and Hannah for being tiptop hostesses this week. We now have our puppy!! Who is an enormous gangly boy with the most ridiculously curled tail. He’s settling in so well, it’s so hard to believe that he was in a shelter in Romania just a few days ago…. Oh my, it’s the 60th Big Pink Link! Also, we hit 10k photos tagged with the instagram #pinklinker tag this week as well! I can’t believe it! A very exciting week all in all! I’m also excited because next Sunday, (14th) I am giving a talk about blogging at the Cotswold Baby and Toddler show…. 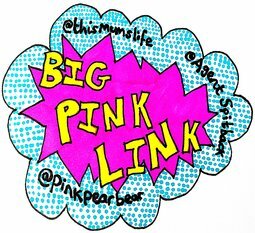 Big Pink Link is here again with the lovely Hannah and myself as your hosts this week. Happy Mother’s Day to all the Mamas linking up this week, Mothering Sunday was yesterday and I hope you all got everything you wanted and a bit of a break! Look at the love in these Mama’s faces…. Big Pink Link is ONE! Big Pink Link is ONE!!!! via GIPHY And I’m not hosting!!! Boo! But El and Lucy are. Yay! The Wows then! If you’re mentioned in their posts, do help yourself to our Wow badge. 🙂 <div align=”center”><a href=”http://pinkpearbear.com” rel=”nofollow” title=”Pink Pear Bear”><img src=”http://pinkpearbear.com/wp-content/uploads/2016/03/Big-Pink-Link-Love-Badge.jpg?resize=300%2C288″ alt=”Pink Pear Bear” style=”border:none;” /></a></div> On with the link up…. It’s the last Big Pink Link before Christmas! Eeek, how did that happen?! We are off on our hols this week until the 9th! So my next Big Pink Link post will be next YEAR! Amazing! I’m sorry if I’ve been a little quiet lately, my advent videos are consuming me! I’d love any feedback…. Big Pink Link Numero 40! August Bank Holiday Big Pink Link! 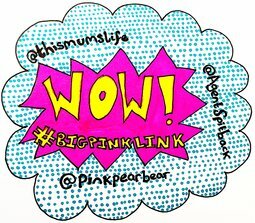 Big Pink Link 1st August! Big Pink Link Is Here Again! Biiiiig Piiiiink Liiiiiink! Is Summer here?